Meet Syikin. Syikin always starts the day with a positive attitude. This single mother juggles two jobs to support her family yet a smile is a permanent feature on her face. She steps into a customer’s house with a happy and friendly attitude, taking the challenge to clean her customer’s house until they are satisfied. Syikin moved to Kuala Lumpur from Kedah and serves customers from Ampang, KLCC and sometimes Puchong and Damansara. She is one of our hardworking cleaners, working 5 days a week. 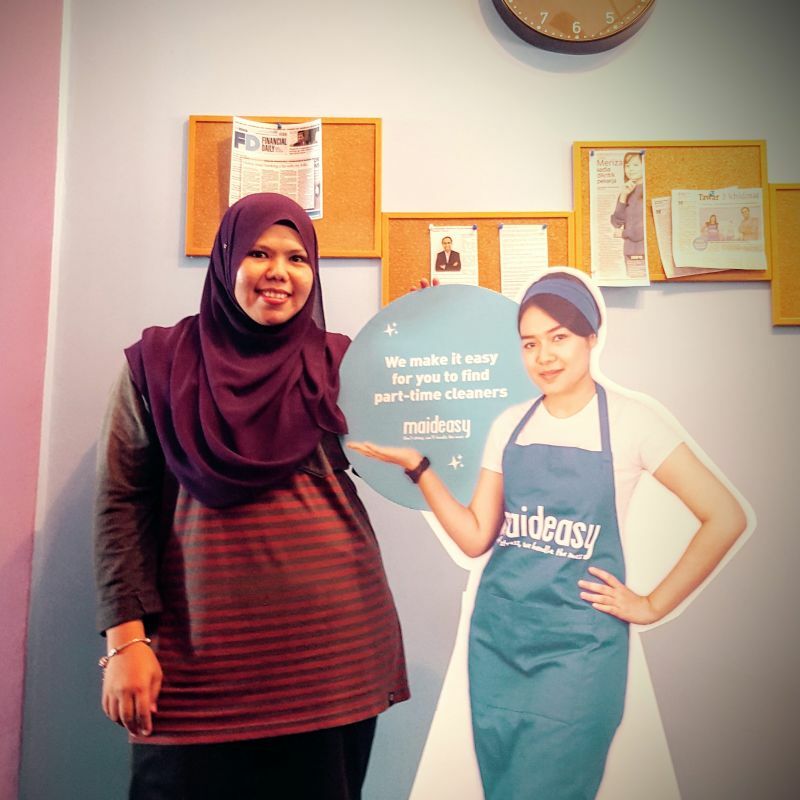 Syikin is happy with MaidEasy because not only she is paid fairly and treated well by our customers, our flexible schedule and fixed slots allow her to work in a call centre at night.